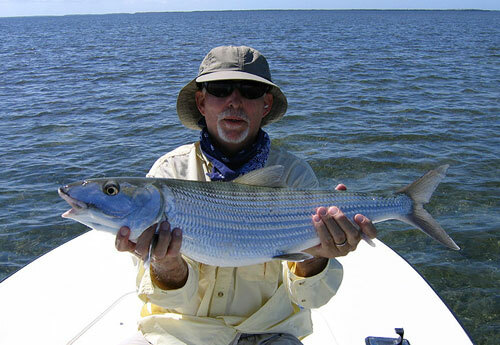 Scott Collins is a friendly, hard working independent guide in the Florida Keys. 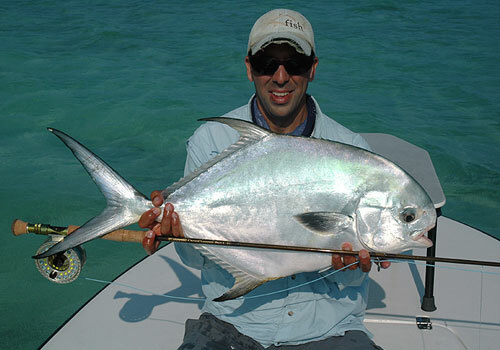 His easy going approach combined with uncanny fish finding skill has put him in great demand. Scott has also accumulated numerous, high profile, tournament victories. 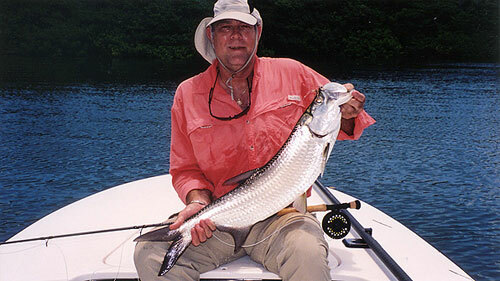 In fact in 2008 he became the only guide to ever win all three tarpon tournaments in one year. He won the Gold Cup, The Golden Fly and the Don Hawley and if that was not enough he landed the Del Brown Permit tournament victory in 2007 as well. Twenty-five anglers competed for the largest tarpon on fly June 17 – 21 from the Lorelei, Islamorada Florida Keys. This is the forty-fifth anniversary of the Gold Cup. 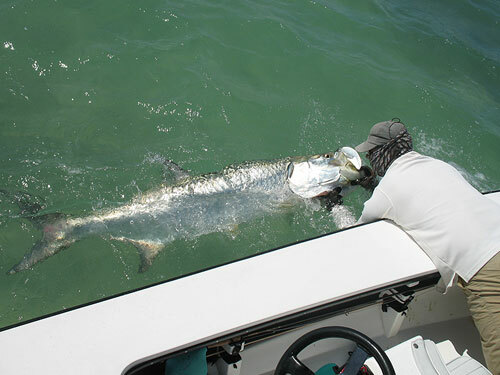 Tarpon are measured with the weight calculated by a formula. 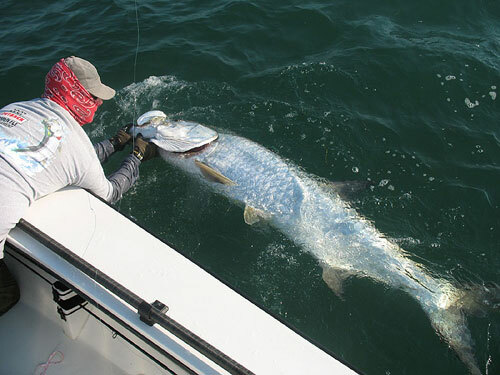 Nine weight fish, a minimum of 70 pounds were caught and released, and 67 tarpon a minimum of 4 feet were also caught and released. The Grand Champion angler is David Dalu, of Charleston, South Carolina, fishing with Captain Scott Collins. David and Scott caught 3 weight fish and 12 releases for a total of 5257 points. 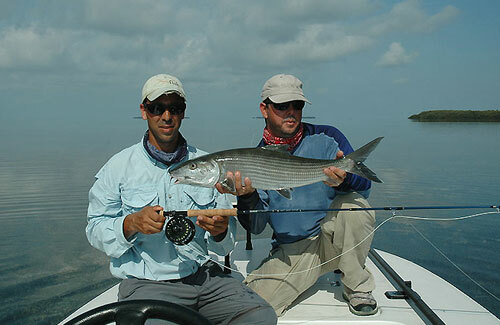 First runner-up angler is Rand Holstead, of Houston, Texas, fishing with Captain Brian Helms. Rand caught 1 weight fish and 4 releases. Second runner-up angler is Jim Holland, Jr. of Seattle, Washington, fishing with Captain Joe Rodriguez, caught 1 weight fish and 9 releases. 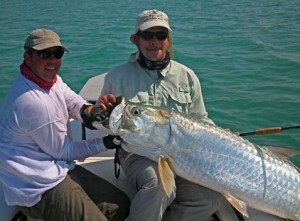 The largest tarpon, 122 pounds, was caught by Rand Holstead of Texas, with Captain Brian Helms. 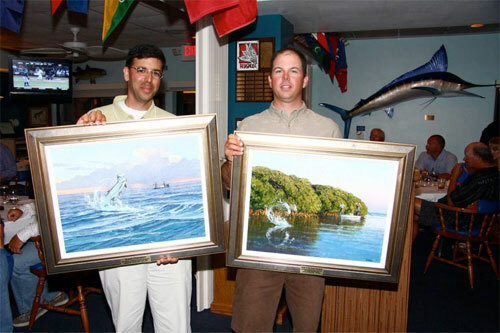 The most releases, 12, were caught by Dalu and Collins; this team was also High Point New Angler. 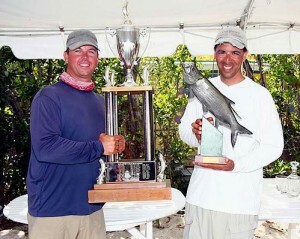 David Dalu and his captain, Scott Collins achieved a new record this year by winning the Triple Crown. This team won The Golden Fly Tarpon Tournament in May, The Don Hawley Invitational Tarpon Tournament the first week of June and The Gold Cup. David and Scott are the first to win all three in the same year. Andy Mill, Tim Mahaffey and Billy Pate have won all three, not in the same year. Dalu and Collins will have their names engraved on the Gold Cup Tarpon Tournament perpetual trophy, on display at the Worldwide Sportsman in Islamorada. Dalu will join such legendary anglers as five-time grand champions Glenn Flutie and Andy Mill, four-time champion Billy Pate, three-time champions Sandy Moret, Eizo Marahashi and Jimmy Bell Jr., and a list of winners that includes baseball great Ted Williams. 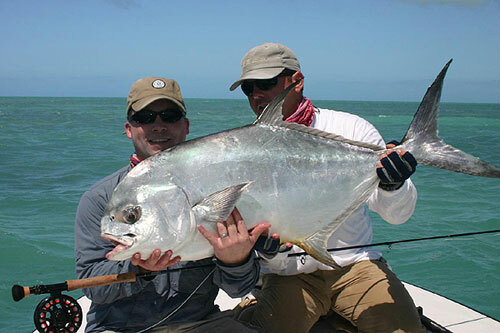 KEY WEST, Fla. — Greg Smith of Canyon, Texas, caught a 26.125-inch permit on fly to win the 2008 Del Brown Invitational Permit Tournament honoring late angling legend Del Brown. Smith earned the title of grand champion angler fishing with Captain Scott Collins of Marathon, Fla.
Smith caught his permit about 10 miles west of Key West. Collins was named the tournament’s grand champion guide. Jack Noll of Montauk, N.Y., caught a 25.5-inch permit to earn the title of runner-up grand champion. He was guided by Captain Jeffrey Cardenas of Key West. 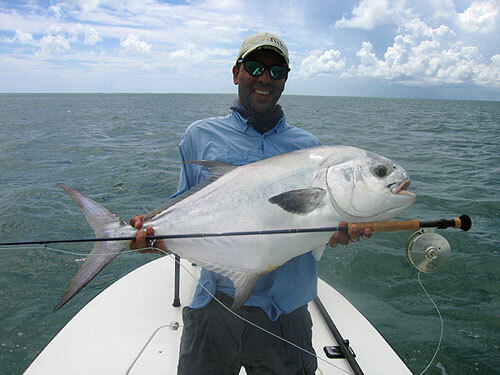 Chase Wise of Boca Grande, Fla., was named the first runner-up angler with a 19.25-inch permit. 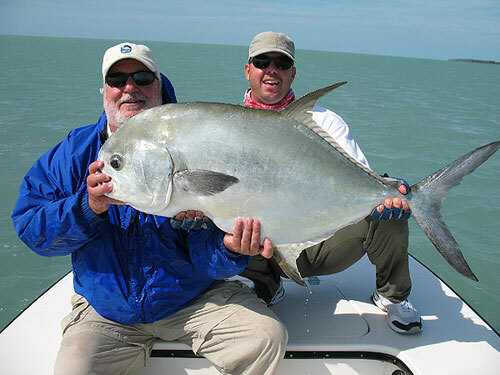 He fished with Captain Bryan Holeman of Key West. 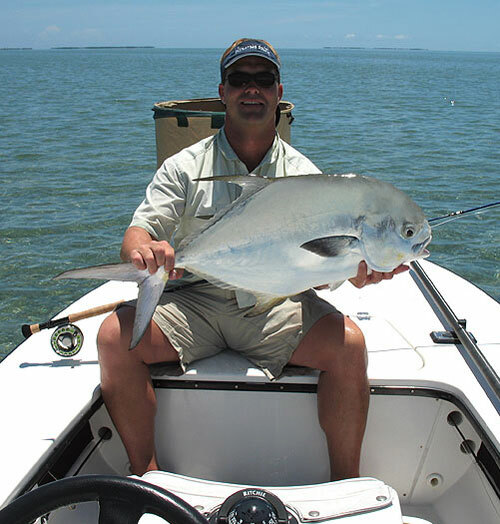 Permit enthusiasts on 17 boats fished the tournament named for Brown, an internationally acclaimed angler who caught more than 500 permit during his lifetime and died in 2003.